Relax and enjoy 90 minutes of bliss and see instant results! Our trained staff will assess your skin and it's needs to perform a traditional Hungarian facial complete with hand, arm, foot, leg, chest, shoulder, face and scalp massage. A truly indulgent and unique experience. Enjoy 60 minutes of pampering including personalized masks, peels, lip and eye treatments as well as scalp, face, neck, hand and foot massage. Just a shorter version of the luxury facial. Same great results without all the pampering. Our trained staff will perform a 30 minute facial to target your needs and you will also receive a quick face, neck and scalp massage. Derma planing is a safe and highly effective physical exfoliation procedure using a sterile, surgical scalpel to gently "shave" the skin's surface, removing the top most layer of dead skin along with fine, villus hair (aka peach fuzz). Microdermabrasion treatments use a minimally abrasive instrument to gently resurfaces skin, removing the thicker, uneven outer layer. Great for reducing fine lines and wrinkles and evening out skin tone. Combine with a facial for best results! 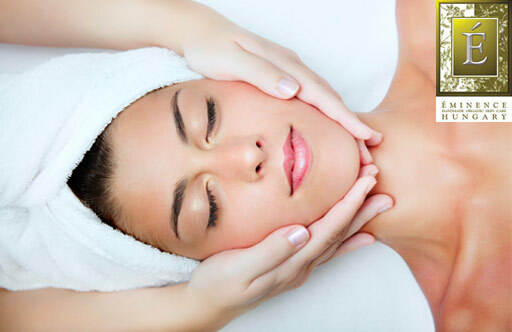 Enjoy a microdermabrasion treatment followed by a relaxing organic facial. Lift and tint your natural eyelashes without the upkeep up extensions. Elleebana's Rods, Perm Solution, & Eyelash tint color are used to give your lashes a lift and tint so that even without mascara, you have darker more lifted lashes.